When you think back of the earliest memory you’ve had, what often retains in your mind? You might be surprised to discover that it was not the foods you ate, the clothes you wore, or the places you went to that made a difference. Instead, you will remember how your mom hugged you when you bruised your knee, or when your dad helped you learn how to bike. Our human relationships, especially the great ones, make our lives worth living, right? You would be glad to know that this same relationship can nurture, build, and polish your child towards the best version of themselves. Being a Childcare Center in Irvine, California, we always strive to promote the child’s quality values. However, we believe that we only come second to your influence at home, being the child’s primary teacher in all of their life. When your little one feels assured that no matter what happens, your love for them is unchanging, they will be able to freely express themselves. Whether they’re happy, sad, angry, frustrated, or worried, you will have a way of knowing what’s going on in their young minds because they will be able to tell you. They know they can trust you with anything and so they will express their hearts to you. Even when your little one is unable to speak words clearly, your gentle responses and patient coaching can enable them to learn well. It strengthens their ability to be patient with their learning progress, as they feel assured that the more they learn, the more that your love for them deepens. Children are explorers by nature, especially when they’re in a Day Care in Irvine. However, when your little one knows that you’re supportive of their endeavors, such as crawling on the floor, playing on the sand, or climbing up the steps, they will have a sense of your trust. They will feel capable of doing things in their age. Their confidence in themselves is boosted. The love and gentleness that your child will experience with you at home will be passed on to the other children they meet. When they’re in a preschool, for instance, they will have an actual practice of how to love, share, and cooperate with each other. Loving others will be easier for their young age since it’s what they’re always accustomed to at home with you. 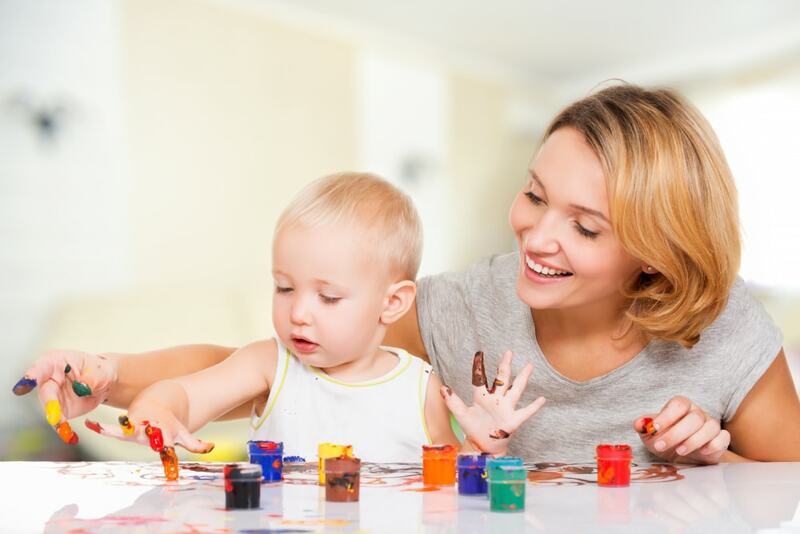 As we provide quality preschool programs in Irvine at Little Leaderz Day Care, Inc., we consider ourselves as your reliable partner in nurturing the best potentials of your child. We believe that every child is able to bring out the best version of themselves with the right nurturing at home and outside. This entry was posted in Child Development and tagged childcare center, childhood activities, learning ability, Nurtures relationship, parenting, self-confidence. Bookmark the permalink.